Julie French, local wellness enthusiast and yoga instructor, visited preschool students at the Wintergreen Arts Center recently for a special session of children’s yoga and mindfulness. 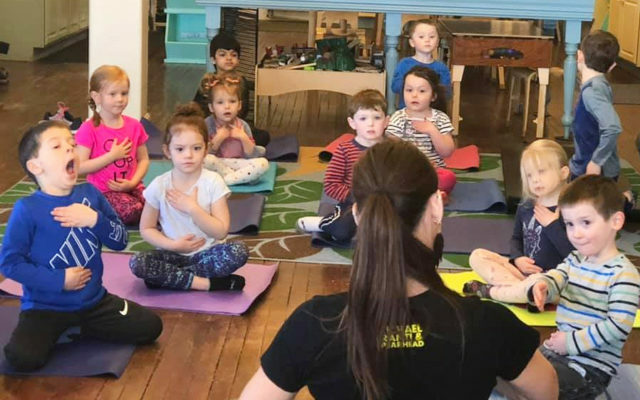 PRESQUE ISLE, Maine — Julie French, local wellness enthusiast and yoga instructor, visited preschool students at the Wintergreen Arts Center recently for a special session of children’s yoga and mindfulness. During her visit, French helped Wintergreen’s preschool students learn stretching exercise and yoga poses such as the Three-Legged Downward Dog. She also talked with them about breathing, visualization, and relaxation techniques.